Artist’s impression of new Britannia leisure centre. Photograph: Hackney Council. Hackney Council has approved the appropriation of a swathe of Shoreditch Park land – the first move in its “masterplan” to construct a new Britannia leisure centre. The project includes the construction of the new City of London Academy Shoreditch Park, as well as 481 new homes, 81 of which will be classed as “genuinely affordable”. It is one of the largest mixed-use schemes that the Town Hall has attempted whilst acting as its own developer. The plans have garnered vocal criticism from local campaigners as well as the Campaign to Protect Rural England, who cite the loss of daylight and sunlight to residents from the tall residential blocks, as well as a breach of the council’s own 50 per cent targets for affordable housing. Hackney Mayor Philip Glanville said: “Late last year we had the planning decision, and this is around implementing the next stage. “Over the course of cabinet meetings during the spring we’ll see the key parts of the procurement exercise and work in delivering the new leisure centre and school. 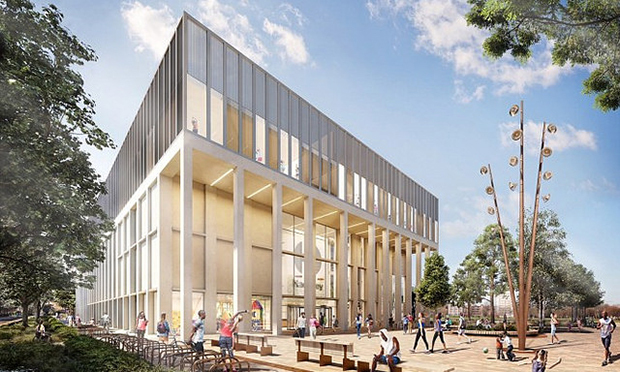 In a report on the decision to seize the land, Mayor Glanville said the move was “the first in a series of key milestones required to deliver the objectives of the Britannia masterplan”, underlining the council’s pledge to invest in new homes, schools and leisure facilities. SBLC campaigner Pat Turnbull said: “I think it’s a very regrettable decision that has implications for the protection of designated green space everywhere, not just in Hackney. “Already what’s happening is that the ball parks are going to be locked up so children won’t be able to play on them and nobody will be able to use them. Save Britannia Leisure Centre (SBLC) pledged to continue scrutinising the process of construction as the scheme continues.